Crazy variety, awesome roasters, blind tastings, and an active community. Take your coffee game to the next level, starting at only $10.99/month. Skip the pitch & join now! Try up to 208 different coffees this year. Plans starting at only $10.99/month. Every coffee is excellent, one might be your new favorite! Sample coffee without bias and decide for yourself what you like. A number on the bag will help you identify the coffee after you’ve tried it. 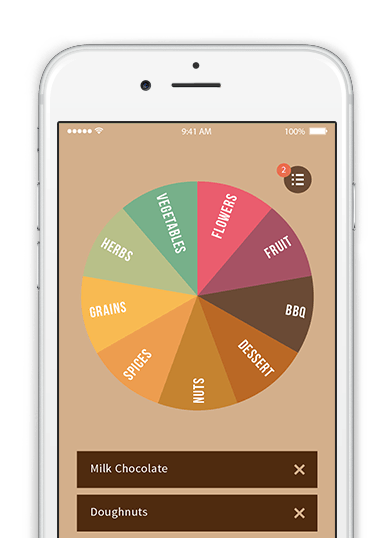 Our app lets you record tasting notes and compare answers with the roastmaster to develop a superhuman sense of taste. Will your tasting notes match? 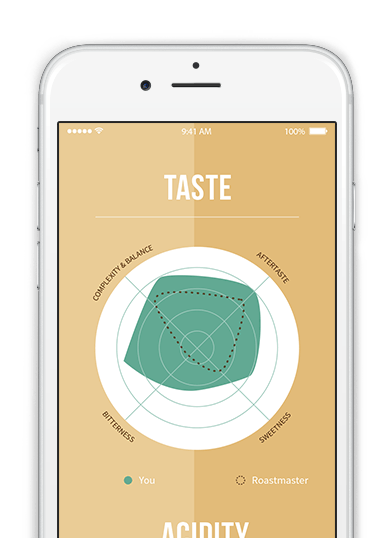 The app is well thought out and nicely walks you through a focused tasting – it really heightens the experience and challenges you to pay attention to each dimension in isolation. The coffee that the Angel’s Cup team tracks down for each week’s tasting is outstanding and from some of the best roasters in the country. 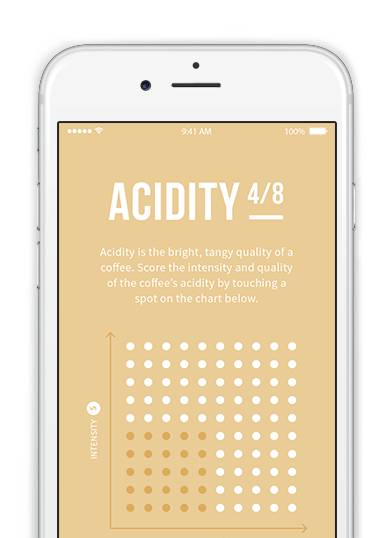 Angels' Cup promises to become essential to coffee geekdom. 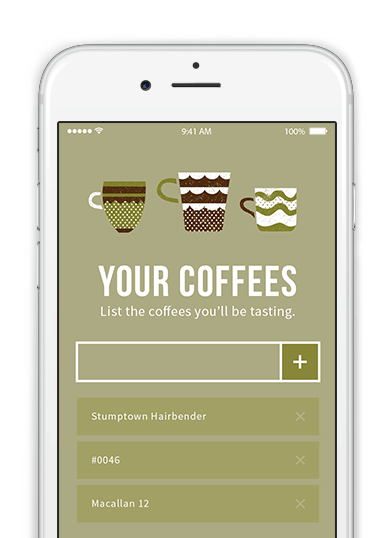 If you’re as addicted to coffee as we are, the app is fantastic. Stay awake and sample some of the best coffees in the world delivered right to your doorstep. Coffee experts will love comparing their notes with the roastmaster in a true test of one's brewing skills and senses. True coffee nerds are always looking for their next great sip. Angel's Cup makes it easy. Oh, you have mystery back there? Great. Yeah. Stir a little bit of that in. Try more than 200 blends in one year! 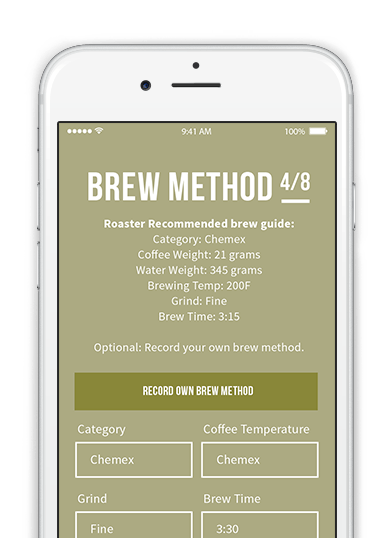 You can even learn more about each blend with the app. The perfect cup of coffee for the modern man. Angels' Cup is more than just coffee, it's a coffee tasting experience. That’s why we built an app that lets you record tasting notes before knowing what the coffee is, compare answers with experts, and connect with other members of our community. Learning to pick out the subtle flavors in coffee is a fun skill, and you’ll start catching yourself paying more attention to other things you eat and drink, like whiskey and wine! Sure can! We have 3, 6, or 12 month gift options, and coffee tasting flights make the perfect gift, even for the most discerning coffee connoisseur. Just select what you want and we take care of the rest. We’ll even include a little hand-written note with your first shipment!